The sugar conspiracy: getting it so wrong for so long? Perhaps the Australian scientist intended a friendly warning. Lustig was certainly putting his academic reputation at risk when he embarked on a high-profile campaign against sugar. But, unlike Yudkin, Lustig is backed by a prevailing wind. We read almost every week of new research into the deleterious effects of sugar on our bodies. In the US, the latest edition of the government’s official dietary guidelines includes a cap on sugar consumption. In the UK, the chancellor George Osborne has announced a new tax on sugary drinks. Sugar has become dietary enemy number one. This represents a dramatic shift in priority. For at least the last three decades, the dietary arch-villain has been saturated fat. When Yudkin was conducting his research into the effects of sugar, in the 1960s, a new nutritional orthodoxy was in the process of asserting itself. 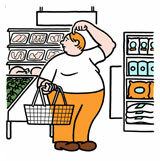 Its central tenet was that a healthy diet is a low-fat diet. Yudkin led a diminishing band of dissenters who believed that sugar, not fat, was the more likely cause of maladies such as obesity, heart disease and diabetes. But by the time he wrote his book, the commanding heights of the field had been seized by proponents of the fat hypothesis. Yudkin found himself fighting a rearguard action, and he was defeated. Not just defeated, in fact, but buried. When Lustig returned to California, he searched for Pure, White and Deadly in bookstores and online, to no avail. Eventually, he tracked down a copy after submitting a request to his university library. On reading Yudkin’s introduction, he felt a shock of recognition. Look at a graph of post-war obesity rates and it becomes clear that something changed after 1980. In the US, the line rises very gradually until, in the early 1980s, it takes off like an aeroplane. Just 12% of Americans were obese in 1950, 15% in 1980, 35% by 2000. In the UK, the line is flat for decades until the mid-1980s, at which point it also turns towards the sky. Only 6% of Britons were obese in 1980. In the next 20 years that figure more than trebled. Today, two thirds of Britons are either obese or overweight, making this the fattest country in the EU. Type 2 diabetes, closely related to obesity, has risen in tandem in both countries. At best, we can conclude that the official guidelines did not achieve their objective; at worst, they led to a decades-long health catastrophe. Naturally, then, a search for culprits has ensued. Scientists are conventionally apolitical figures, but these days, nutrition researchers write editorials and books that resemble liberal activist tracts, fizzing with righteous denunciations of “big sugar” and fast food. Nobody could have predicted, it is said, how the food manufacturers would respond to the injunction against fat – selling us low-fat yoghurts bulked up with sugar, and cakes infused with liver-corroding transfats. Nutrition scientists are angry with the press for distorting their findings, politicians for failing to heed them, and the rest of us for overeating and under-exercising. In short, everyone – business, media, politicians, consumers – is to blame. Everyone, that is, except scientists. Still, it would be reasonable to assume that Yudkin lost this argument simply because, by 1980, more evidence had accumulated against fat than against sugar. After all, that’s how science works, isn’t it? If, as seems increasingly likely, the nutritional advice on which we have relied for 40 years was profoundly flawed, this is not a mistake that can be laid at the door of corporate ogres. Nor can it be passed off as innocuous scientific error. What happened to John Yudkin belies that interpretation. It suggests instead that this is something the scientists did to themselves – and, consequently, to us…..